Over 20 inspiring heart art projects that are perfect for Valentine’s Day! Get inspired to create with this collection of heart art projects from several of our favorite blogger friends! 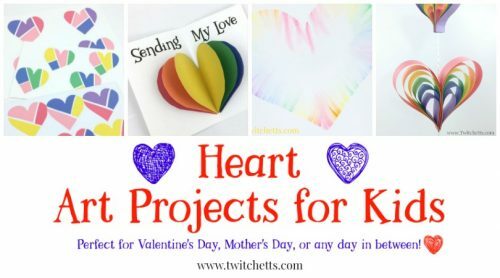 These projects are the perfect way for your kiddos to create Valentine’s day gifts, Cards for Mother’s Day, and more! 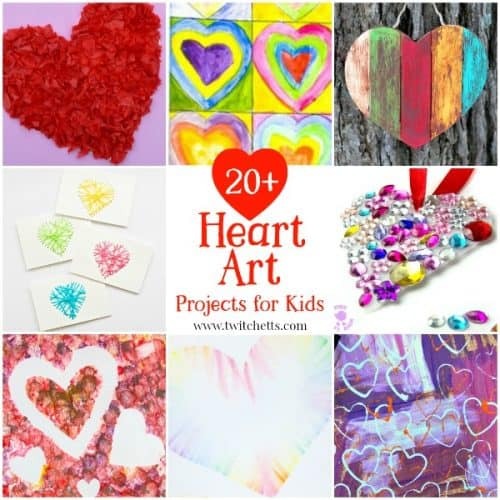 Are you looking for some amazing heart art projects? Well, look no further! We’ve found some lovely creations (pun intended), for your kiddos to create. These beautiful projects are perfect for decorating your classroom, giving to loved ones, or passing out on Valentine’s Day. They would make amazing Mother’s Day gifts too! So which one will you create first? These projects would be lovely for a Valentine’s Day art project! 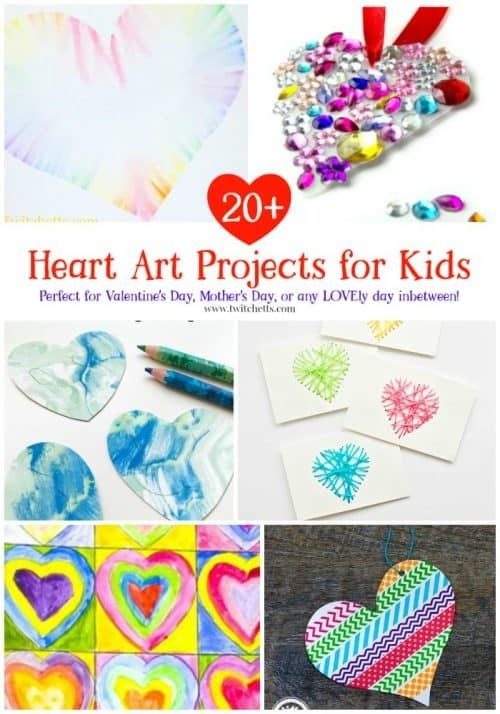 We can’t let Valentine’s Day have all the fun, Moms would love to receive any of these art projects! Looking for more lovely art projects for kids? Check these out!